STEP INTO THE SECRET - THRIVING TO BE THE BEST YOU As you know, the three steps to the Law of Attraction, and creating a New Thriving YOU! like the dot on the kiosk map in the shopping mall. Many of us are like hamsters on a treadmill, moving and moving and moving, just for the sake of movement. Yet we never really get anywhere, because we haven’t shifted our mindset. To really understand yourself you have to get outrageously honest. It’s what I call being emotionally buck-naked. This is a bold self-evaluation or self-assessment. You peel away the layers and take an honest look at yourself. You celebrate yourself—even when it feels uncomfortable. You tell the truth about where you’re falling short—even when it stings. This is your opportunity to really stop for a moment and notice that every page in your autobiography up until today, this very moment, has already been written upon. “Lisa, I’m proud of you. I’m proud that you are playing a little bigger today than you played yesterday and last week. I’m proud that you are stretching yourself. The moment you are ready to own your past, the good and bad, the happy and sad, the highs and lows—and everything in between—is the moment you move into the driver’s seat of your life. How do you gain control of the steering wheel? The Four-Step Boot Camp One of the most effective ways to find your “dot” is to have an honest conversation with yourself—face to face. Do this four-step exercise in front a mirror every morning for just seven minutes and you’ll be amazed by what you learn about yourself and how quickly you gain control of where you’re going. I tell myself, “I love you. I forgive you.” Then I move on. And, no, it isn’t easy, especially when you’re dealing with deep-seated hurts and abuses from the past. I had let the abuses of my past define me. I had to work through my forgiveness every day until one day it didn’t come up anymore. You’ll know when you’ve worked through something, because it will no longer be an issue when you look in the mirror. Step 3 – Determine where you need improvement Next, take an honest assessment of the improvements you need to make in yourself to attract what you want. This can be sobering as well. This is your bridge to the Law of Attraction. You begin to speak the possibility inside your commitment. You’re finding the dot that says, “You are here.” Now, you ask the universe to make your commitment happen. But don’t think your work is over. Design Your Destiny Remember, the Law of Attraction is obedient to your thoughts. It is always working in your favor. Your job is to get ready, to be whole and complete in you so that when the universe responds ,you get absolutely everything you desire. People have asked me, “Can you believe you’re on the Oprah show?” With all humility I say, Why not? Why not me?! Why not that little girl from south-central L.A, who grew up in the midst of gangs, who didn’t look like any beauty queen, who couldn’t find any beauty in herself. Why not that little girl who was considered academically challenged? Why not that young woman who was so desperate for love that she picked wrong and almost lost her life? Why not the single mother who craves for the best possible outcome for her son, an African American male child with no father around? The question is not “Why you?” The question is “Why not you? !” The universe knows it, and it’s up to you to know it. Lisa Nichols is founder and CEO of Motivating the Masses, Inc., which is committed to helping entrepreneurs, business leaders and professionals live their dreams and build their own personal legacy. Lisa started her first company as a single mom and with only $36,000 in her bank account. She has grown her passion for empowerment, service, & gratitude into a multi-million dollar enterprise, making her one of the leaders in the industry today. In addition to helping business professionals, Lisa is founder and CEO of Motivating the Teen Spirit, LLC which has transformed the lives of over 300,000 teens and young adults. She is also a best-selling author of three books and a renown international speaker and leader. In her spare time, Lisa enjoys spending time with her family and friends. Motivating the Masses will be going public later this year. 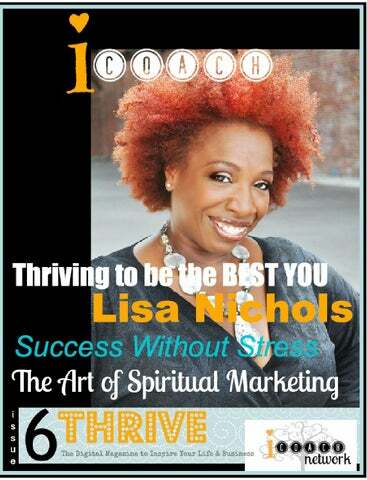 For more information on Lisa Nichols and Motivating the Masses, please visit www.MotivatingTheMasses.com. Just as you are nervous about letting go and watching them head towards college life, they are nervous about leaving you. They want independence with guidance. Young adults are hungry for approval and direction, and they are looking to you for it. So, how as parents can we go forward giving them their independence and taking ours back? When I think about sending off a child to college, all I can think about is hitting the restart button. Think back to when your precious baby was born; remember that crazy feeling of “oh my gosh, they are letting us leave with her? Are we are qualified for this?” Well, you are right back at that same kind of moment. Except I can wholeheartedly tell you… YOU ARE QUALIFIED, and she is going to leave you. This amazing individual that you taught to go potty, kissed their first booboo, and gave the keys to your car is leaving. They are leaving to start their journey, and a life of independence. Except here’s the thing: they still need you and your help (not to mention, most likely a lot of financial support). Young adults “leaving the nest” today are in an unpredictable place. They have no idea where the economy is going, and most have little idea of what they will do after college. But then honestly, did we? what you want to do with your free time. Is there a class you are interested in or maybe a hobby you’ve wanted to try? 3. Embrace your emotions; it is okay to be sad or lonely without your child. Show them that you are okay even on the sad days by engaging in activities, hanging out with friends, or reconnecting for a few minutes with a text. 4. Leave the line of communications open, but don’t ask too many questions. They will be more comfortable sharing if they don’t feel like it’s an inquisition. (Yes, even though you may be dying to know who they are dating.) 5. Spend time “dating” again. Remember that person you’ve been sharing your life with, the one you picked all those years ago. Make a list of things you can do together, and start crossing them off. ARE YOU BEING DEPRIVED OF THE URGE TO THRIVE? 2. Gracefully Bow Out – for those days that the tears are flowing or you are in physical discomfort and faking it won’t do, gracefully reschedule, we all need a “mental health” day from time to time. You just ended your second marriage, your two year old doesn’t sleep through the night and you are doing your best to keep up with your three children and your busy coaching practice. Your work calendar is filled with appointments of back-to-back clients, all of which want you to help them THRIVE! They want to thrive in business, they want to thrive in relationship and they want to thrive in life. However, you don’t feel worthy of helping them because you don’t feel like YOU are thriving. Can you relate? Just as doctors sometimes fall ill, sometimes we as Coaches are in “thrivedeprive”. So, what do we do when we feel that we are in the grip of overextension and we are not shining our brightest light? Here are a few approaches that have helped this Coach weather a “thrive” drought. 1. “Fake it until you make it” - This works best for minor upsets and bad days. Putting yourself in full service to your client can help you through. I’ve heard it said many times, “heal others and you heal yourself”. Wise words and it works! If I were to ask you to define these things for me odds are you’d go into a diatribe about the ‘How’. You’d rattle off a bunch of formulas you’ve learned over the years. How selling from the stage is the way to go. How telesummits are brilliant and how your Facebook page should be making you money. Membership sites, radio shows, email newsletters, writing a book, programs that sell while you sleep. And it’s precisely all of those definitions that lead people to hate the business side of their business. Because they’re nothing but Left-Brained Crap. in alignment and things just started to come easliy. Spiritual marketing is about fusing together both sides of your brain. You totally become a badass marketer when you set your heart free. In fact, doing less and opening up more helps you enroll more clients. Trust and Faith are the primary ingredient in your marketing plans. When you find that sweet spot where you hold the yummy vision and take inspired actions, that’s what makes you MONEY! Approach your business building in a spiritual way rather than the old-school suit and tie (or nylons... gosh I hate nylons) way and doors open up. Creating AND Receiving are a part of business creation... It’s the perfect flow and dance that ultimately means that at all times your heart and spirit are engaged and open. Marketing then becomes a part of your development as a person. It reflects your growth and your total belief in you and your messages. Join Stacy Nelson this month for her FREE Call on The Art of Spiritual Marketing HERE and learn more about fusing together all the different sides of who you really are... Be Whole! 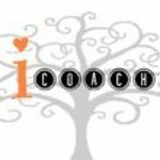 Stacy Nelson is the Founder of iCoach Network, an International circle of life coaches coming together to support and inspire each other on a daily basis. Keeping with the theme of ‘As one rises, we lift each other up”, Stacy also publishes this monthly digital magazine for iCoach Network, highlighting the fabulous coaches within the network. Specifically she in an Intuitive Marketing Coach with Marketing ImPerfect, helping soul-inspired entrepreneurs to market with their hearts and tap into their authentic purpose through their businesses. noise, and listen to your inner wisdom. Decisions, big and small, will start to get made and your business will start to grow. You can also use our intuition to answer powerful questions about your business. This enables you to approach every situation from an empowered place. Here are just a few examples. Which coach or mentor would most help me grow my business? What do I need to say to close this sale in an authentic way? Who does my client need me to show-up as to get results during this session? What program, product or service would most serve my clients right now? We all have some level of intuition or the ability to “know” certain pieces of information without being told. I became aware of my own intuitive abilities at a young age when I told my preschool teacher I was psychic! Even if you weren't a psychic wonder child, you've still experienced moments of clarity, where you just know things you could not have discerned using your normal five senses. That's intuition. Learning to listen to it is absolutely necessary if you want to to build a thriving healing or coaching business. Intuition costs nothing, is available to your right now, and if you make an effort to trust its guidance, it will light your path to business success. Michael Mapes is an intuitive business coach who helps heart-centered entrepreneurs connect to their inner wisdom to get clear on what you REALLY want to create in your business. Elevate their message to connect with an abundant stream of ideal clients, and massively grow their businesses so they can make a big difference in the world. The great thing about working with an intuitive business coach is that Michael is able to quickly identify energetic and practical blocks to success, and provide simple, easy-to-implement strategies designed to help you attract ideal clients, make more money, and most importantly bring your powerful message of transformation to the world. SUCCESS WITHOUT STRESS site and focus your efforts on the list of opposites (positives). Tip 4: Enlist support from your most positive and encouraging friends and family. Contact me for more information or a favorite mentor. Tip 5: Start somewhere. Begin at the beginning. Take small digestible, doable steps. Getting started is simple. Staying on course and connecting to your true nature is a process. Thriving is truly about success without stress. Not only is it possible to experience success through relaxation, it is necessary in order to have a balanced and thriving lifestyle. Getting to know your own body at a deeper level of awareness is the main component. It is your navigation system to happiness. Slowing down, becoming more quiet and connecting to the part of you that knows best is the key to radiant health, happiness and success in business and family relationships. Below are some tips to get you started. Tip 1: Take time for quieting and connecting with your true nature everyday. This enables you to quickly and easily recognize what makes you happy. Valerie offers several levels of personalized clearing services. A very atypical approach to personal clarity. Her specialty is in Mind Body, Environmental & Spiritual Awareness for Ultimate Well Being. Access her free gift at www.valsgift.com for a download “Relax on the Go with Valerie” Check out her "5 Easy Steps to Relax into Everyday Success" tele-series. It takes 21 days to create a habit and that is what you are doing by enrolling in this course. You are creating a lifestyle and switching from surviving to thriving through relaxation and regaining your own energy balance. This 5-week course is the perfect place to implement the tips above, receive positive support, and learn more powerful tools to truly thrive. I am currently house and dog and cat sitting in the Canary Islands. One of my responsibilities is to water the Orchids and keep them alive. As the lady of the house told me when giving me instructions, everyone else she knows has killed their orchids, but hers are thriving. No pressure then? Care of any plant (or any person) takes knowing what makes that plant (or person) thrive. What makes you thrive? Do you know your own care instructions for thriving in your life? Do you know how to get the best from yourself? (here's a hint: it's not self-criticism, driving yourself into the ground and neglecting yourself) We are all very different, so there is no point adopting someone else's care plan. You have to create your own care instructions - the circumstances that allow you to thrive. Then you have to follow those care instructions. There's no use knowing that orchids don't like direct sunlight and leaving them in a south-facing window all day long. Answer these questions to help you create your personal unique THRIVE care plan: 1. How much sleep do you need to thrive? If you're tired, you can't thrive. 2. What does your body need from you in order for it to thrive? If your body is unhealthy and unhappy, you can't thrive. 3. What does your mind need from you in order for it to thrive? If your brain is fried, you can't thrive. 4. What does your heart need from you in order for it to thrive? If your heart hurts, you can't thrive. 5. What does your soul need from you in order for it to thrive? If your soul is wilting within you, you can't thrive. 6. What brings you joy? Without joy, you can't thrive. 7. What do you love? If you fill your life with what you love, you cannot help but thrive. 8. What Big Dreams are hiding in your heart?Â Living fully and passionately helps you thrive. Excellent self-care (body, mind, heart and soul), enough sleep, a life full of joys and loves and Big Dreams will help you thrive wherever you're planted, whatever is happening in your life.Â And when you have good care instructions for you, when you notice you're not thriving, you can refer back to the care plan, implement it and thrive anew! Donna, better known as "DonnaOnTheBeach", helps women who KNOW there is more to life to make their Dreams a Reality, and live with joy and passion. Visit http://www.donnaonthebeach.com to get her free ebook "The First Step To a Joyful Life" and to find hundreds of articles, podcasts and videos to help you fall in love with your life, live joyfully and make your Big Dreams come true. • Most importantly they LOVE what they do and ENJOY doing it. Imagine being at the beach, softly touched by the refreshing breeze, breathing fresh air, touching the water with the tip of your toes and feeling an absolute freedom in all areas of your life. Eco Wellness Shamanic Adventure and RetreatTM in Ecuador. As a mother of a 4 years old, Lucia Gabriela’s vision is to create a platform where men and women liberate themselves from self created and inherited vicious cycles that are keeping them stuck from true love, health, freedom, success and happiness – this will allow us to enjoy a healthy environment for future generations. With this vision in place Lucia Gabriela’s mission is to empower YOU to break free from abuse, fear, guilt and self imprisonment so you can welcome YOUR true inner majesty with awarenessacceptance, appreciation, gratitude and infinite love. Here are three key steps to get your legal ducks in a row: 1. Create a Disclaimer. Be clear about what you do as a coach so there is no confusion. Short is not sweet here – go for length. If you are a type-A coach, you want all of your ducks in a row, right? Perhaps you have wanted to put some legal protections in place for your business, but it is still “on the list”. You just haven’t gotten around to it. When you and your business are protected, safe and secure, you can thrive. But, did you know that legal protections also allow you to make more money and be a leader in your business? Here’s why: When you are backed by a business entity, you are no longer a kitchen-table hobby. When you have contracts, disclaimers, and privacy policies in place, you are a coach with strong boundaries so clients happily pay you and come back for more. When you uplevel your business and increase your frequency, you stand confident and tall, and attract more of your ideal clients. In other words, you show up in the Universe like you mean business – and you get more business. A Rebel Chick Mystic’s Guide: Healing Your Spirit with Positive Rebellion by Lisa Marie Selow This is a book for brave, nonconformist women (or for those who aspire to be), written from the heart and soul of a spiritual rocker chick. Get your Copy HERE. year. More importantly, they are connecting with their clients from all over the World. Watching the latest high-end productions is a recipe for disaster. You start comparing yourself to those people. Doubt and fear creep in, and those nagging thoughts of, “Who would want to watch me anyway?” leave you paralyzed and reaching for the next bite-sized Snickers. Instead, compare yourself to yourself. Note: right now you’re sitting on the couch not doing videos. Once you do even one video, you have made a HUGE leap forward. Score! 3. Get some support. Not sure where to start? Find some friends and business colleagues to enlist for support and encouragement. A great place to start is by joining the 30 Day Video Challenge. Business owners from all over the World have gathered to support one another throughout the month of July in this free, no selling challenge. You can even get a fancy shmancy badge for your website just for participating. Each day in July you get one tip and a challenge. Make as many videos as you’d like. Whether you’ve made hundreds of videos or none at all, you will find the answers you’re looking for in the 30 Day Video Challenge. Your clients are looking for you. What are you waiting for? Amethyst Mahoney helps women entrepreneurs unlock their purpose and finally get paid to do what they love. If you are overwhelmed and burnt out, it’s time to stop the struggle and start attracting your ideal clients. Bring your gifts to the World and create your legacy at www.AmethystMahoney.com To join the 30 24 Day Video Challenge click here. WHAT’S YOUR VISION? Now that you see what this future looks like, notice how it is to be the person you wish to be in your life. How does it feel to create the business you desire? Who are you surrounded by? What’s it like to have the impact in the world you envision? How does it feel to thrive? Then check in: Am I intentional and making choices that move me toward or away from my vision? By continuing your search for clarity – and realigning your beliefs and actions with your vision – you are taking the first step into the journey of a lifetime. Continuing by cultivating the remarkable in your life creates the vibrant you that the world most needs. Linda's passion is helping overachieving women move from feeling burnt out and misaligned to healthy, passionate, and powerful. A certified holistic health and transformation coach, Linda draws on 20 years of corporate branding expertise to draw out her clients' truth -- resulting in a renewed, powerful connection to their essence. iCoach members are invited to a free :30 clarity breakthrough session. Connect with Linda at www.lindarasch.com. I decided to study the Law of Attraction deeper. I began reading the books Byrnes’ work was based on. I began “testing” those Law of Attraction teachings in my life, creating experiments to see what I could manifest from what I was learning. The first of these experiments was to attract more friends–specifically seven new friends–into my life that shared interests similar to mine, including the Law of Attraction. Each month we’ll happily highlight one of our fabulous coaches here... We pick randomly and for no other reason than we know personally that these Coaches are doing amazing work in the world and deserve every inch of space we can spare! Creating a system for manifesting my dream life and teaching it to hundreds, no – thousands of people throughout the world is something I didn’t think was possible. And yet it’s happening in my world right now. Like many people, I got really excited when I first saw Rhonda Byrne’s film The Secret in 2006. Understanding that “like attracts like” and “thoughts become things” changed my life. But, I also knew that if simply wishing made it so, a lot more of us would have a lot more. but a proven plan to take wishes and turn them into reality. That’s how my D.R.E.A.M. Plan took shape–a complete, five-step process for manifesting! I started writing about the D.R.E.A.M. plan, and piloted the model to my FPWC group. More This Stuff’s Working! moments were created! I knew I was on the right path when an organization offered me a speaking opportunity in San Francisco, CA. I presented my What’s Your D.R.E.A.M. workshop to two rooms packed with young students and professionals. Sharing my story and my D.R.E.A.M. Plan on stage lit a fire under me. Soon after that presentation, the pastor of my church invited me to share give my D.R.E.A.M. with our congregation and I began giving personal development talks at the church. After one of my talks, a fellow congregant approached me and asked me about becoming her life coach. Before I even really knew what a life coach was, I had my first coaching client. Within 6 months, she had manifested her D.R.E.A.M. and a light bulb went off for me. My own D.R.E.A.M. plans had grown bigger and bigger over time, yet each one was manifesting with relative ease as I worked the plan. My life was beginning to reflect what I had been wanting for myself since childhood. I lived where I wanted to live–in sunny San Diego, CA. I loved who I wanted to love, being happily married to my wife. I went where I wanted to go–taking vacations to Hawaii, Palm Springs, San Luis Obispo, Las Vegas. Get the life, the health, the relationship, the work! Yes–even get the STUFF! What do I do for my clients? • I help them to decide and define what they’d like to receive. • I partner with them in creating the plan to achieve it. • I hold them accountable to that plan until it manifests for them. My writing and talks are intended to inspire, teach my system, and share my story. I really want you to see that I am no different than or better than you! Just like I can be intentional about the things I want for my life and execute a clear plan to receive them, SO CAN YOU!! !